Before getting started, you'll want to make sure you've set up your Shopify brand profile to make your DTG labels accessible when amending your product links. You can edit the link between your products either through the Inkthreadable Shopify app or through your Inkthreadable account. Both do exactly the same thing, the only difference is how you access the interface. If you're using Shopify, log in to your store and open the Inkthreadable app. From the welcome screen, click the Link Products button. If you're editing through your Inkthreadable account, head to your Shopify integration page and click Manage Shopify product. Both of these methods will take you to the same product manager interface. You'll likely be very familiar with this page by now. It's where you linked your Shopify products to their Inkthreadable equivalents. We're going to add a DTG label to the Love Pug N03 t-shirt. Click the Edit button next to the product you want to add your DTG labels to. Down the Inkthreadable Product column, you see the variables you used previously to link this product between your Shopify store and Inkthreadable account. This is where you'll find the option to add your DTG printed label. The options you're looking for are Brand and Label. Select your brand from the Brand drop-down menu. This will populate the Label drop-down menu with any labels associated with this brand. Select the label you'd like to add to this and all subsequent product variants. 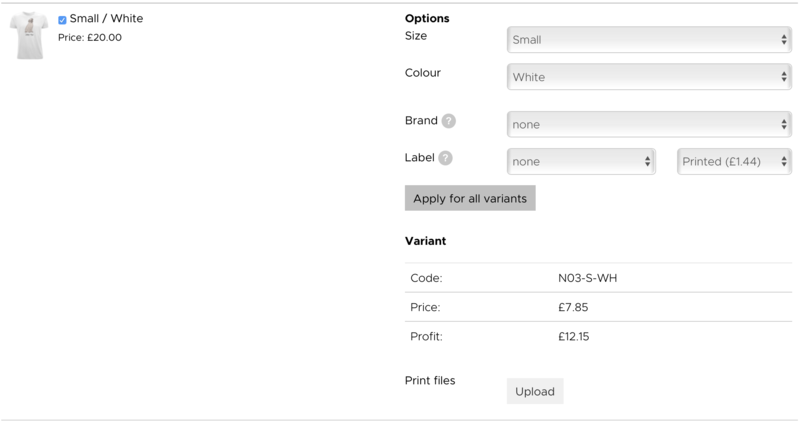 Only products that can have labels printed will have the option to add labels to the individual variants. Adding a DTG printed label adds £1.51 to the total cost of production. As with regular prints, we can't print black onto black or white onto white. You'll need variations of your DTG labels suitable for the colours you intend to print on. If your labels include garment size, make sure the size detailed on the label matches the size of the garment itself. 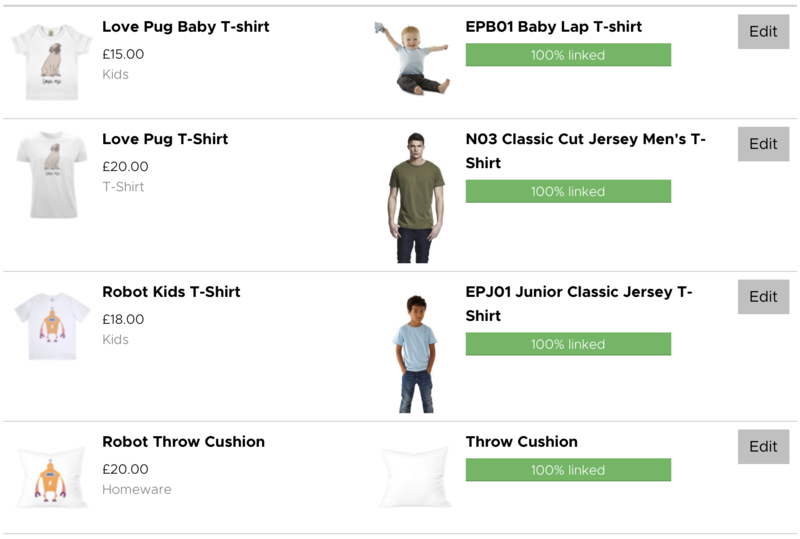 Once you've finished adding your labels to your Shopify products, click the Save buton.